Home > Analysis > Caution gives way to increasingly assertive policies in Saudi Arabia, but to what end? 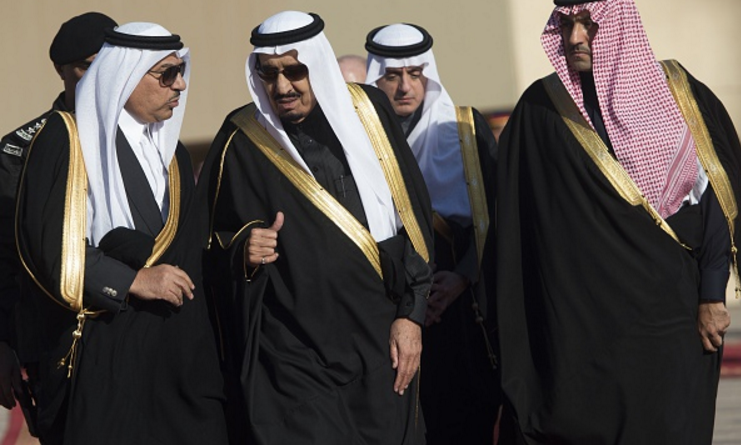 Caution gives way to increasingly assertive policies in Saudi Arabia, but to what end? This article was originally published in JMEPP’s Spring 2016 print edition. Since King Salman bin Abdulaziz Al Saud assumed the Saudi Arabian throne on 23 January 2015, there have been clear continuities in both Saudi domestic and foreign policies to maintain regime security and stability for the ruling elite; however, significant change is also evident on a number of levels. These shifts primarily reflect differences in leadership styles of the late King Abdullah bin Abdulaziz Al Saud and King Salman, dynamics within the royal family, and state relations with the ulema (recognized Islamic scholars and authorities) and the broader population. The onset and consequences of the Arab Spring have raised questions about the legitimacy of the Al Saud family rule, which are being met by the Saudi government with a steadfast neutralization and counter policy. This article will focus on the issue of succession in Saudi leadership, the Saudi military’s involvement in the current war in Yemen, the Saudi role in the new Sunni-dominated military alliance, and the execution of Shia cleric Nimr al-Nimr. Finally, the article will analyze whether a more assertive policy stance will support the Al Saud regime or ultimately undermine its stability. As Rob Sobhani discusses in King Abdullah of Saudi Arabia: A Leader of Consequence, the late King Abdullah bin Abdulaziz Al Saud, who ruled Saudi Arabia from 2005 until his death in 2015, was considered by his supporters to be a reformist and by the United States as a close ally and someone who brought stability to the kingdom. He focused on increasing access to Saudi education through 200,000 scholarships that enable Saudis (of both sexes) to study at foreign universities or to study at the growing number of universities across the kingdom. He additionally spent considerable effort improving the status of women in Saudi society, granting women the right to vote for the first time in 2011. He addressed extremism and issues surrounding religion, the economy, and oil, seeking to make advances within a conservative rubric. Similarly, since the succession of Abdullah’s half-brother, King Salman bin Abdulaziz Al Saud, to the throne following King Abdullah’s death in January 2015, King Salman has been labeled “focused,” “astute,” and “austere” by Khaled Almaeena, editor-in-chief of Arab News, a mainstream Arab news agency. Furthermore, CNN agrees that King Salman is viewed as “a pragmatic and cautious reformer.” These features are particularly relevant in an oil-rich state where various royals have been involved in money-making schemes, and where, as early as 1986, the US government was concerned about a backlash against them. Resentment over economic disparities still exists and has become part of a range of economic challenges linked to the Arab Spring (such as jobs, economic diversification, and development), social marginalization, sectarianism, and terrorism. However, traditional caution of King Salman and the Al Saud rulers before him appears to have given way in the advent of the Syrian conflict in 2011 to more assertive foreign policies in an effort to address an increasingly insecure and unstable Gulf region and the wider Middle East. In the first weeks of his tenure as king, Salman issued decrees that promoted Prince Mohammad bin Nayef to Deputy Crown Prince and Prince Mohammad bin Salman to Minister of Defense. In similar fashion, he promoted individuals from his own Sudairi branch of the royal family to higher rankings within the government. The risk of the unprecedented move to promote Prince Mohammad bin Salman to Ministry of Defense is that he lacks relative experience and could therefore compromise the external security of the kingdom. King Salman’s son, Prince Mohammad bin Salman, 34, had not held a government posting prior to assuming the high-profile position of Minister of Defense. 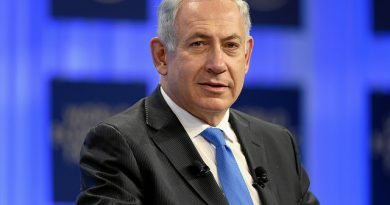 In addition, he is widely viewed as a driving force behind the Saudi intervention in Yemen, garnering accusations from the Bundesnachrichtendienst (Germany’s intelligence agency, BND) of destabilizing the Middle East and North Africa region through a policy that prioritizes regional leadership and utilizes a strong military component. Therefore, King Salman’s personnel decisions have resulted in controversy surrounding Saudi policies. Saudi Arabia’s controversial military campaign in Yemen has forced Saudi leadership into a tight position in which it cannot afford to make policy missteps. Yemen’s civil war has become regionalized, involving other member countries of the Gulf Cooperative Council (GCC), such as Qatar and the UAE, as well as the use of foreign mercenaries from states as far away as Colombia. If the ground offensive objectives in Yemen are not realized, Prince Mohammad bin Salman may become marginalized from the defense portfolio. This could happen through a number of possible scenarios, including a prolonged Saudi military campaign without resolution or further condemnation from the US or the UN for alleged breaches of human rights and international law. The precedence for such ostracism already exists; Prince Bandar bin Sultan was relieved from his two positions as secretary-general of the now defunct National Security Council and as special envoy of the king with responsibility for Syria policy due to the contribution of his decisions to growing tensions with the US. In this case, it is clear how Prince Mohammad bin Nayef’s profile and popularity, at age 55, would be elevated. His role as Minister of the Interior since his father, former Crown Prince Nayef bin Abdulaziz Al Saud, passed away in 2012 demonstrates his high standing within the Saudi family. Importantly, US officials have positively viewed Prince Mohammad bin Nayef, specifically during an enhanced period of US–Saudi counter-terrorism cooperation that took place when he oversaw his country’s campaign against Al-Qaeda in the mid-to-late 2000s. He is therefore more experienced and is well placed to deal with any significant spillover effects from the Yemen conflict, such as Al-Qaeda in the Arabian Peninsula (AQAP), which is using its growing base in Yemen to once again challenge the Saudi state. Given the high stakes in Yemen, it is surprising that Saudi Arabia has consented to UN-backed peace talks. Nevertheless, Riyadh knows that the US is supportive of its conflict against the Houthis, which the Saudis perceive to be an Iranian-backed insurgency. It will consequently take time for any potential UN resolution to be approved and implemented. However, there are signs that growing civilian casualties in the conflict are drawing in greater US participation in vetting military targets and searching vessels bound for Yemen. Time is an important factor in this calculation because in the interim period, Saudi forces can try to implement changes on the ground and better shape the outcome to benefit Saudi policy goals. Thus, peace talks are unlikely to succeed until Saudi Arabia has secured a military advantage on the battlefield; continued fighting on both sides has compromised previously negotiated cease-fires in May, July, and December 2015. The death of the head of the Saudi Special Forces, Colonel Abdullah al-Sayhan, who was killed in December 2015 in Taiz province, has only contributed to the sense that the war must go on until Saudi Arabia has demonstrated its ability to impose its will in Yemen and vis-à-vis Iran by defeating the Houthis. Riyadh continues to insist that Iran is the destabilizing power in the region through its support of “insurgencies” in Bahrain, as well as in Yemen, where Iran is said to support the Shia Houthi rebels. The notion that Iran was an integral part of Saudi Arabia’s Yemen intervention was personally delivered by King Salman to President Obama during their September 2015 meeting in Washington D.C. The clear and direct conversation demonstrates the extent to which the Saudis are trying to keep the Obama administration on board. This has become all the more necessary as the Saudi-led Yemen conflict has been described as “traumatizing to its [Yemen’s] civilian population.” Western support has since come under more intense pressure after the UN stated in January 2016 that the use of indiscriminate cluster munitions “may amount to a war crime.” Thus, another Saudi lobbying effort was underway, targeting the European parliament in February 2016, just before the European Union (EU) implemented an arms embargo on Saudi Arabia linked directly to the heavy civilian casualties due to its conduct in Yemen. Saudi Arabia has, for decades, maintained a policy of limiting Shia influence and expanding its own Sunni influence through the heavy funding of mosques and madrassas (Islamic religious schools), Islamic associations, and training centers across the Islamic and developing world, as well as in states of strategic interest, including China. Such foreign policy forays are increasingly drawing criticism from Europe, which is claiming that such programs may fund jihadi causes. Additionally, these efforts have exacted a heavy financial burden on Saudi Arabia. 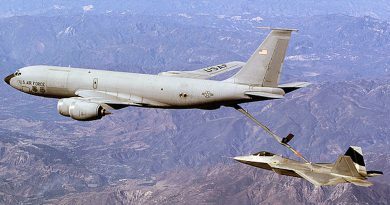 Conventional military expansion alone amounted to $100 billion over the last five years, and will amount to another $50 billion over the next two. The cumulative outlay is contributing to increasing financial pressure, which has been further exacerbated by $130 billion of government largesse to the Sunni-dominated population distributed during 2012 and which lasted until the oil price collapse in 2015. A sustained low international oil price has forced the Saudi government to cut back on typical spending in order to save billions of dollars. Fiscal restraint has come late to the kingdom, but is necessary in order for the central bank to stop burning through financial reserves. In April 2015, central bank reserves dropped by $36 billion—the equivalent of 5 percent—in just two months, and foreign reserves fell by $16 billion in March 2015, further illustrating the kingdom’s decreasing wealth. As governor of Riyadh for 50 years prior to his current appointment, King Salman transformed the cityscape from desert land into skyscrapers. As King, he presides over a period of continued and rapid growth in infrastructure projects, despite the financial difficulties that the kingdom has recently incurred. Kingdom Tower, owned by Prince Al-Waleed bin Talal, already dominates the skyline in Riyadh, and other Saudi cities are emulating their own grand infrastructure projects. In Jeddah, Saudi Arabia’s commercial center, Jeddah Tower is set to mark a new record as the world’s tallest building in 2018, and, in conjunction with the Kingdom City project in Riyadh, cost $20 billion to build. In Mecca, the holiest city for Muslims, Saudi authorities started building a $3.2 billion mega-hotel with five helipads and five floors specifically for use by Saudi royalty, along with 10,000 rooms, in 2015. However, such rapid development has not come without costs. For example, the estimated death toll of 2,411 from the Hajj stampede in Mecca in September 2015 called into question the competency of the Saudi government as the authority of the “Custodian of the Two Holy Mosques.” Furthermore, Saudi Arabia has continued to struggle, similar to other GCC states, with migrant labor issues created by a growing economy exacerbating the kafala system of sponsorship (which makes migrants dependent on employers and can be open to abuse) and the mass exportations that took place between 2013 and 2015. The economic boom and subsequent austerity could play into the hands of violent Islamists as the social and economic gap between the elite and the marginalized section of the population widens. Demonstrating a continued commitment to US objectives (particularly important in the context of remarks made by President Obama in March 2016 in which he labeled Saudi Arabia, along with some others in the Gulf and in Europe, as “free riders”) and encouraging Washington to lead a more effective coalition in areas that are deemed vital to Saudi national security interests. Despite these efforts, there are a number of troubling features inherent to the new Sunni military alliance. First, certain members such as Pakistan have expressed surprise at their inclusion in the alliance without prior consultation. A Pakistani army spokesman confirmed that “we are not looking for any involvement outside our region.” Second, activities of the alliance will include everything from efforts in counter-terrorist ideology and terrorist financing to military intervention where it is deemed necessary (mandated by the UN or the Arab League). The new Saudi-led coalition could thus be considered too broad in scope, challenging in application, and dependent on the political will of others to be truly effective. The likelihood of the alliance reverting back to a unified military command in the style of the GCC could therefore be quite high. Third, by focusing exclusively on the Houthis in Yemen, Saudi Arabia has demonstrated that a broader intervention targeting terror groups such as AQAP is not currently on the agenda, to the point where the Saudi-led coalition continuously avoids attacking AQAP positions. This has resulted in substantial territorial gains for AQAP in Yemen, whereas just over a decade ago the Saudi interior ministry was fighting a counter-terrorism campaign against AQAP on the streets of Riyadh. Domestically, Riyadh perceives the Muslim Brotherhood, Syrian jihadists, and human rights activists as active threats to national security. A case that exemplifies this challenge is that of Raif Badawi, a blogger who was sentenced in June 2015 to 1,000 lashes for criticizing Saudi Arabia’s religious police, which the authorities equated with blasphemy. His sentencing received harsh criticism from Europe and he subsequently received the 2015 Sakharov Prize for Freedom of Thought. The execution of senior Shi’a cleric Nimr al-Nimr is further evidence of the Saudi struggle for control of its internal affairs, and in particular the restive Eastern province—especially in Qatif, where al-Nimr was a driving force behind violent protests that broke out in 2011, and where he called for secession and the formation of a Shia state. Al-Nimr was also renowned for his hostile, anti-government speeches, which began in 2002, and indirectly caused police casualties. Instead, the Saudi political calculations behind al-Nimr’s execution seek to avoid domestic attention on what Bruce Riedel, a former CIA officer, calls a “perfect storm” of “low oil income, open-ended war in Yemen, terrorist threats from multiple directions, and an intensifying regional rivalry with its nemesis, Iran.” In private, several US officials have been more forthright about expressing their anger over the poor timing of the Nimr al-Nimr execution, as it risks undermining US policy in the wider region. Specifically, the actions have complicated efforts, through rising sectarian confrontation and proxy conflict for a peaceful resolution in both Yemen and Syria, which requires both Iranian and Saudi diplomatic support. The execution has put additional pressure on social and sectarian divisions in states such as Bahrain and Iraq. Both Bahrain and Sudan have severed ties with Iran over its response to the execution. Former Iraqi prime minister Nouri al-Maliki called the execution a “crime . . . [which] will topple the Saudi regime . . . “ The execution of Nimr al-Nimr reveals a much wider conflict taking place throughout the region, pitting Saudi Arabia against its Shia rivals. The Saudi elite insist that the constitution of the kingdom rests on the Qur’an and Shari’a law, and that al-Bay’ah (a contract or pledge of allegiance), exists to ensure that the ruler acts in accordance to the will of God and the people. Although the execution of Nimr al-Nimr was deemed to be in accordance with the Wahhabi interpretation of Shari’a law, Shari’a is a huge body of literature with four bodies of jurisprudence. The sentencing could therefore have been interpreted differently in Wahhabi tradition, with a greater emphasis on the broader interests of the ummah (the whole community of Muslims bound together by religious ties), such as reducing sectarian conflict, not only in the kingdom, but also across the region and the Islamic world. The undercurrent of discontent in Saudi society among its youth and reformists—especially those who call for a written constitution, and particularly the Shia population—as well as factions within the royal family, pose a different but persistent threat to regime stability. These threats will be magnified if the current political policies such as escalating sectarian tensions with Iran, military policies such as engagement in Yemen, and economic policies such as austerity, diversification, and jobs, fail to achieve their objectives. The changes in Saudi leadership and succession planning have raised the stakes for King Salman. His appointment of his relatively inexperienced son, Prince Mohammad bin Salman, from the third generation of princes when other experienced candidates could have been promoted to head the Ministry of Defense, means a lack of experience in frontline politics. Miscalculations or mistakes may very well occur in policy implementation and could have serious consequences within and beyond the Saudi border. Assertiveness in safeguarding tangible benefits for the nation differs from risking the Islamic credentials through a power-sharing arrangement with the Wahhabi clerics or established ulama upon which the Al Saud ruling elite still depends for its legitimacy. Without a greater sense of restraint, caution, and focus, the Saudi government may be playing into the hands of its adversaries who seek to discredit the Sunni monarchical model as being reactive, illegitimate, and un-Islamic. The success of the kingdom’s efforts in maintaining a relevant military alliance that is able to defeat the Islamic State and assist allies diplomatically in resolving other conflicts in the region will determine the direction of future Saudi foreign policy. In particular, it will reveal to what extent Saudi Arabia can leverage its agenda when there is a growing discrepancy between its foreign policy objectives and those of its longstanding and most powerful ally, the United States. It will also hold clues about the efficacy of its foreign policy strategy during a period of low oil prices and budget constraints, which will determine if the kingdom can sustain its muscular response to insecurity. Will “Riyal Politik“ (buying influence through the distribution of oil revenues) continue to be effective in securing alliances as the risks of escalation with Iran rise? The recent withdrawal of aid to Lebanon could prove problematic to this established model, especially where Iranian proxy groups such as Hezbollah gain sway over national politics. Riyadh must continue to tread carefully when advancing its national interests within a set of domestic, regional, and global circumstances, many of its own making, but also within an evolving global agenda set by Washington. Robert Mason is lecturer in political science at the British University in Egypt. His works include International Politics of the Arab Spring: Popular Unrest and Foreign Policy (Palgrave, 2014) and Foreign Policy in Iran and Saudi Arabia: Economics and Diplomacy in the Middle East (I. B. Tauris, 2015). He is a contributing author to a newly edited volume of Saudi Arabian Foreign Policy: Conflict and Cooperation (I. B. Tauris, 2016). Shoichet, Catherine E., and Nic Robertson, “Amid Turmoil, Saudi King Abdullah Brought Stability, Pushed Reforms,” CNN, 23 January 2015. Afshin Molavi, “King Abdullah: A Saudi Education Revolutionary,” Al Arabiya, 23 January 2015. Glen Carey, “King Abdullah Gives Saudi Women Right to Vote for First Time,” Bloomberg News, 26 September 2011. “How Will the New King Salman Change Saudi Arabia,” BBC News, 11 February 2015. Jethro Mullen, “Who is Saudi Arabia’s New King Salman?,” CNN, 4 February 2015. “Special Report: U.S. Cables Detail Saudi Royal Welfare Program,” Thomson Reuters, 28 February 2011. Mohamed Al-Saud Idris, “Saudi Succession and the GCC,” Al-Ahram, 29 January 2015. For more on the Al Sudairi Clan see “Al Sudairi Clan or Sudairi Seven,” Saudi-US Relations Information Service, n.d. The Al Sudairi wing, including the “Sudairi Seven” (full brothers within the House of Saud), was established by Hassa bint Ahmed al-Sudairi with King Abdulaziz, the founder of Saudi Arabia. The clan is from Najd, the same part of the Arabian Peninsula as the Al Saud. See Hussein Ibish, “Royal Reshuffle: Saudi Shakeup Consolidates King’s Power,” The Arab Gulf States Institute in Washington, 30 April 2015. Greg Gause, “Saudi Arabia’s Game of Thrones,” Foreign Affairs, 2 February 2015. Including hegemonic status in the Gulf Cooperation Council and across the Islamic world through its guardianship of the two holy places (Mecca and Medina), and through influence primarily derived from Salafism. See Robert Mason, “Introduction,” Foreign Policy in Iran and Saudi Arabia: Economics and Diplomacy in the Middle East (London: I. B. Tauris, 2015), 2; and Justin Huggler, “Saudi Arabia ‘Destabilising Arab World,’ German Intelligence Warns,” The Telegraph, 2 December 2015. Hager, Emily B., and Mark Mazzetti, “Emirates Secretly Sends Colombian Mercenaries to Yemen Fight,” The New York Times, 25 November 2015. Ian Black, “End of an Era as Prince Bandar Departs Saudi Intelligence Post,” The Guardian, 16 April 2014. Bruce Riedel, “The Prince of Counterterrorism,” Brookings, 29 September 2015. “Houthis and Saudis in Yemen Peace Talks,” The Guardian, 8 March 2016. “Two Senior Gulf Commanders Killed in Yemen,” Al-Arabiya, 14 December 2015. One of many discussions held at the official level on Saudi Arabia’s response to Iran in the advent of the U.S.-Iran nuclear agreement and regional turmoil. See Jonathan Border, “The Loser of the Cold War Between Iran and Saudi Arabia May be Obama,” Newsweek, 11 January 2016. Stephen Seche, “Yemen’s Destruction is One Cost of the US – Saudi Alliance,” The Boston Globe, 6 March 2015. “Use of Cluster Bombs in Yemen May be a War Crime: U.N. Chief,” Thomson Reuters, 8 January 2016. Jennifer Rankin, “EU Parliament Votes for Embargo on Arms Sales to Saudi Arabia,” The Guardian, 25 February 2016. Hubbard, Ben, and Mayy El Sheikh, “Wikileaks Shows a Saudi Obsession with Iran,” The New York Times, 16 July 2015. Rowena Mason, “PM Should Order Inquiry into Funding of Jihadism, Paddy Ashdown Says,” The Guardian, 24 November 2015. Aimed at creating more jobs, building subsidized housing, and providing more support to the Ulema that backed the government position on banning protests. See Donna Abu-Nasr, “Saudis Skip Arab Spring as Nation Pours Money into Jobs,” Bloomberg News, 2 April 2012. Khalaf, Roula, Lionel Barber, and Simeon Kerr, “Saudi Arabia: The Wake-Up Call,” The Financial Times, 23 November 2015. Kerr, Simeon, “Saudi Arabia Burns Through Foreign Reserves,” The Financial Times, 30 April 2015. Herbert Wright, “Jeddah’s Kingdom Tower: How Much Higher Can Skyscrapers Go? A History of Cities in 50 Buildings, Day 50,” The Guardian, 4 June 2015. Oliver Wainwright, “City in the Sky: World’s Biggest Hotel to Open in Mecca,” The Guardian, 22 May 2015. Rick Gladstone, “Death Toll from Hajj Stampede Reaches 2,411 in New Estimate,” The New York Times, 10 December 2015. “Saudi Arabia: Mass Expulsions of Migrant Workers: Abuses During Detention, Deportation,” Human Rights Watch, 9 May 2015. Analysts noted this as early as 2007. See “Riyadh is Boom Town as Saudis Enjoy Oil Bonanza,” Thomson Reuters, 16 November 2007. BB“Saudis Announce Islamic Anti-Terrorism Coalition,” BBC News, 15 December 2015. Stancati, Margherita, and Ahmed Al Omran, “Saudi Offer on Syria Reflects Heightened Anxiety Over Outcome,” The Wall Street Journal, 9 February 2016; “Saudi Arabia Willing to Send Ground Troops to Syria to Fight ISIS: AP,” Thomson Reuters, 4 February 2016. “Is Saudi Arabia Next Target of Islamic State?,” Al-Monitor, 3 January 2016. Mark Lander, “Obama Criticizes the ‘Free Riders’ Among America’s Allies,” The New York Times, 10 March 2016. Baqir Sajjad Syed, “Pakistan’s Surprised by its Inclusion in 34-Nation Military Alliance,” Dawn, 16 December 2015. Hussein Ibish, “What to Expect from Riyadh’s New Islamic Counterterrorism Alliance,” The Arab Gulf States Institute in Washington, 17 December 2015. Cafiero, Giorgio, and Daniel Wagner, “Saudi Arabia and al-Qaeda Unite in Yemen,” The Huffington Post, 24 September 2015. Maria Abi-Habib and Mohammed Al-Kibsi, “Al Qaeda Fights on Same Side as Saudi-Backed Militias in Yemen,” The Wall Street Journal, 16 July 2015; Lori Plotkin Boghardt, “Saudi Arabia’s Shifting War on Terror,” The Washington Institute for Near East Policy, 18 August 2014. “Saudi Supreme Court Upholds Verdict Against Blogger Raif Badawi,” The Guardian, 7 June 2015. Susannah Cullinane, “Saudi Blogger Awarded European Human Rights Prize,” CNN, 30 October 2015. Sultan Al-Sughair, “Crimes That Led to Al-Nimr’s Execution,”, Arab News, 4 January 2016. David E. Sanger, “U.S. in a Bind as Saudi Actions Test a Durable Alliance,” The New York Times, 4 January 2016. “Iranian Protestors Storm Saudi Embassy, Foreign Ministry Calls for Calm,” Thomson Reuters, 2 January 2016. Slawson, ‘Execution of Shia cleric sparks international outrage – as it Nicola Slawson, “Execution of Shia Cleric Sparks International Outrage – As it Happened,” The Guardian, 2 January 2015. Aron Lund, “Are Saudi Arabia and Turkey About to Intervene in Syria?,” Carnegie Endowment for International Peace, 24 April 2015. Kerr, Simeon, and John Aglionby, “Bahrain and Sudan Sever Diplomatic Ties with Iran,” The Financial Times, 4 January 2016. Harriet Sinclair, “Nimr al-Nimr Execution: Former Iraq PM al-Maliki Says Death Will ‘Topple’ Saudi Regime,” The Guardian, 2 January 2016. “The Basic Law of Governance,” Ministry of Foreign Affairs, 20 September 2011; Al Bay’ah was established by the Shari’ah and sanctioned by tradition. See Abdullah Ansary, “A Brief Overview of the Saudi Arabian Legal System,” Hauser Global Law School Program, New York University, July 2008. “Saudi Arabia Executes 47 People, Including Prominent Shiite Cleric, on Terror Charges,” Russia Today, 2 January 2016. “Saudi Arabia Executes 47, Including Shi’ite Cleric,” The Australian, 3 January 2016. Aarts, Paul, and Carolien Roelants, “The Two-Edged Sword of Islam: The Holy Alliance Under Fire,”,Saudi Arabia: A Kingdom in Peril (London: Hurst Publications, 2015), 15. As discussed in Mason, Foreign Policy in Iran and Saudi Arabia. Anne Barnard, “Saudi Arabia Cuts Billions in Aid to Lebanon, Opening Door for Iran,” The New York Times, 2 March 2016. 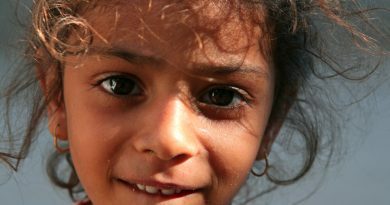 Egyptian Courts Take on FGM, But Can They Uproot the Practice Altogether?